But, then as now, the heart of the massive economic shift deemed necessary by the evidence from science is a shift away from financing fossil fuels, with an accompanying shift to financing of renewables. Any such shift of “massive” scale was always going to rock some politically influential boats, so an offensive aimed at defeating it was revved up full bore. At bottom, it has long been and still is a competitive scramble for money. In fact, an attack against renewables was kicked into gear years ago, and the current anti-Green New Deal brouhaha is just a rehash of an old campaign to defend the capital and capitalists aligned around combustion of coal, oil, and natural gas. For example, in 2013, a half dozen years before Alexandria Ocasio-Cortez signaled her support of the Sunrise Movement’s Green New Deal, David Robert’s excellent analysis for Grist spelled out that rooftop solar panels could compete against the coal-burning utilities, and that utility execs were openly admitting the risk to their profits, even to their industry. These attacks on solar soon extended to all renewable energy, predated the Green New Deal, were early warnings of the broader attacks we see now on the Green New Deal itself. So, in a way, nothing has changed. It’s still the same old big, energetic, even fierce campaign to defend fossil fuel capitalism from competition in the form of cleaner energy such as solar and wind. When this comes from politicians who typically pose as champions of competition, it’s a peculiar turn of events. What’s new is that advocates of the Green New Deal take climate change more seriously than ever before, and this is rocking the coal, oil, gas capitalists’ boat like never before. Big Money is clearly at stake, as always. 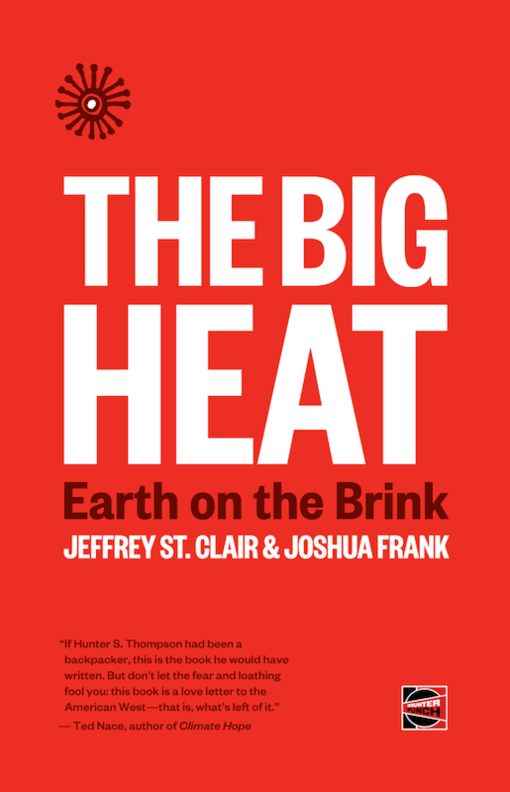 But now it comes with an added intrigue in the form of Big Money endangering lots of other Big Money, leaving the world of business increasingly sharply divided between fossil fuel capitalists and the rest of the capitalist world. Big Fossil Fuel Money is fighting against necessity to keep fossil fuels in the ground, unsold, with potentially huge losses of income and profit for coal, oil, and natural gas. At the same time, other Big Money is at risk if fossil doesn’t stay sequestered where it is. The biggest risk here is in damage that storms, floods, and fires can do to tangible physical assets like dams, power lines, factories, resorts, homes — even to power plants dependent on fossil fuels. A striking example of the potent new capitalist v. capitalist battle came on strong when the Institutional Investors Group on Climate Change, a group of 415 investment firms managing combined assets worth more than twice the size of the entire Chinese economy, told governments to 1- back away from reliance on thermal coal, and 2- to give up subsidizing all fossil fuels, and 3- to get on with putting a price on carbon. The net effect is that this vast mountain of capital is pushing in much the same general direction as the Green New Deal. Likewise, banks around the world are now backing away from financing the coal industry. Although definitely not a coordinated effort, this combined push is fundamental to the scale of action that scientists see as necessary to prevent dangerous changes forced on the atmosphere, oceans, land, living species and systems. So, today’s attacks on the Green New Deal are grounded in the old rage against renewables — and their jobs. What we’re getting is not only a fight of capitalist v. capitalist, but a fight over jobs v. jobs. This fight puts many Democrats between the proverbial rock and a hard place. The Democrats’ dilemma is that the necessary economic shift requires a bust for fossil fuel jobs, and a corresponding boom for renewable industry jobs. I’m always wary of booms, but a jobs boom in the realm of renewables is a boom we greatly need. As hasn’t always been true of other booms, this one has serious, important potential to leave the world a less-damaged, more comfortable, and safer place. For sure, there’s a big and glaring need to protect fossil fuel capitalists’ rank and file employees as the necessary economic shift rolls on, but that needs emphasis on protecting people, not a specific set of jobs. Alas, when faced with the need to protect people, can’t-do politicians and can’t-do labor leaders alike line up to declare it can’t be done. The beginning of an actual shift from dirty to cleaner energy has the defenders of dirty energy scrambling. They’ve even stooped to name-calling, specifically blasting the Green New Deal as, shudder, a “socialist” scheme. That tactic is more snark than substance, and it got a notable and important slapdown from Greg Ip, Capital Accounts columnist for The Wall Street Journal. Ip criticized President Trump and others who’ve been hurling the socialism chant around as if it’s a weapon. As Ip sees it, “Taxing the rich, Medicare-for-all, and a Green New Deal that replaces fossil fuels with renewables are certainly liberal, probably radical, possibly unwise. “But socialist? Hardly.” With that, Ip pulled a weapon straight out of Trump’s hands. The nationalistic right fires up its base by claiming that the Green New Deal is a direct threat to the American way because it is a government takeover — nationalization — of private industry. But Ip aptly points out that the Green New Deal is not about government takeover, a.k.a., nationalization of industry. Alas, the irony of the capitalist media taking a weapon out of rightwing capitalists’ hands is likely to go unreported in the rightwing media, and Green New Deal advocates from the furthest reaches of the left are likely reluctant to credit anyone associated with the Wall Street Journal with getting anything right. Socialism snark aside, defenders of fossil fuel capitalism have said that Green New Deal advocates are simply “unrealistic.” Oh, really? Again, it’s been capitalists stepping in to slap down that piece of nonsense. Liam Denning, for example, has done stints as an investment banker, columnist for the Financial Times, and editor of one of The Wall Street Journal’s most closely-read columns — Heard on the Street. CO2 is actually good for you. How realistic is that? Demonstrating the desperation of fossil fuel capitalists and their captive politicians in both parties, there’s lately even been a dusting off of an old argument of the now-defunct Greening Earth Society. The basic argument of this group was that carbon emissions, and therefore the coal, oil and gas industries are being falsely accused of harm. Actually, according to that old propaganda, because carbon taken from atmospheric CO2 is necessary to the growth of plants including trees and food crops, it’s a good thing, so hey, more of it is even better. What it will do, they reported, is reduce nutrition of plant tissue, with implications for every animal that relies on plants for nutrition. Among other things, insects will have to devour more in order to stay even. In its March 25, 2000 issue, eight years after the Scientific American article exposing the, ahem, unrealistic claims about CO2, Science News followed up with an excellent update on the stage of the science, “Greenhouse Gassed: carbon dioxide spells indigestion for food chains,” by Tina Hesman. Hesman interviewed researchers who found adverse effects on everything from caterpillars to domestic sheep. Her article closes with a researcher’s quip about who might be out chasing down wild ungulates with nutrient supplements. On August 2, 2007, seven years after Hesman’s interviews with researchers, Nature ran another followup, “The other greenhouse effect”. Although scientists had by then concluded that there’s even more to the story than reduced protein, concern about “human health and the wider ecosystem” had persisted. GND will destroy the economy — we can’t afford it!!! What we can’t afford is the fossil fuel capitalism forcing the world into increasingly dangerous change. Without the massive economic shift to renewables, the economy is subject to becoming a shambles. Given that it also means risk of food crops in shambles, Depression era breadlines bereft of bread is a not-entirely-extreme scenario. Two Federal Reserve analyses have joined a growing chorus of warnings about economic hard times if we keep dumping carbon to the atmosphere. An August, 2018 analysis by a team with the Fed’s Richmond branch,”The Impact of Higher Temperatures on Economic Growth,” cited reason to expect that economic growth, the Holy Grail of politicians, could dive by 30% as carbon emissions force the world into hotter times.That finding, however, is all hush-hush for politicians pimping promises of optimism. Some of these politicians, clearly, are just stone-cold ignorant. Others likely just don’t care, and yet others likely just sense that voters will shoot the messenger if they dare break the bad news. With these recommendations, the Fed begins to sound a lot like the Green New Deal. Nothing is more basic to realism about climatonomics than that. This gap was another big capital shift, and it too was already in effect long before the Sunrise Movement the attention of Alexandria Ocasio-Cortez. It’s been a gap with some adverse consequences of its own, it’s been hiding in plain sight for the past two decades, and it’s long been too big to ignore. In the early 1990s, the Wall Street Journal spun off a large, slick, color magazine, the since-discontinued Smart Money. Two of the Wall Street Journal’s senior writers, Alan Murray and Albert Hunt, co-authored a regular column there. In one column of that earlier era, Murray and Hunt wrote that if concentration of wealth/income inequality continued, it would one day trigger a reaction that would make the bloody French Revolution of the 1790s seem like a picnic outing. Well, yes, and the anger behind this predicted reaction has likely played a role in both the popularity of Donald Trump and, at the same time, the popularity of the Green New Deal. As Freud phrased it decades ago, we’ve had a “common unhappiness” for a long time. Long-simmering unhappiness over concentration of wealth is one of two major — and overlapping — factors behind the riots we’ve recently seen in France — and elsewhere. The other major force is the urban-rural divide, which is a function of governments’ policies that concentrate people and wealth in booming cities, leaving the countryside increasingly impoverished, including the shuttering of rural businesses as their customers move to the cities. For example, the carbon tax in France was the straw that broke the camel’s back in frustration over soaring inequality of wealth. The bottom line is that French President Macron blew it, and the Green New Deal doesn’t have to fear a carbon tax — unless it repeats his mistake. First, following the example of America’s Trump, France’s Macron made the nation’s rich happy by slashing taxes for the well-off. That did not sit well across the rest of the nation. Then, having already created social tension, he imposed a carbon tax that rich could easily afford, but pinched the rest of France just hard enough to cause pain. At first, reports on the protests focused on the carbon tax, as if it was the sole cause. More recently, the media have begun to pick up on the major, overlapping factors, identifying yet another case history of socioeconomic warnings that have long been ignored. In plain fact, if Macron had been paying attention, he could have avoided his lame mistake, because the warning had been issued — and the need of remedies identified. In his calm, careful March 27, 2017 “How to make a carbon pricing system work” Financial Times economics columnist Martin Wolf had spelled out just about everything Macron needed to know, and in time for Macron to learn it. For example, Wolf explicitly cited need to cushion a carbon price’s pinch on the poor who must drive to work. If anything has triggered more frothing at the mouth than the Green New Deal itself, it’s the uproar following Alexandria Ocasio-Cortez’ comment that Modern Monetary Theory has a place in the conversation about it. Getting past the bitter old battle against renewables and now against the Green New Deal won’t be easy. Neither will the effort to right the wrongs of an economy rigged for the rich. But something obviously has to happen, and the outlines of the shape it takes may not be clear for the next couple years. One thing is certain. The familiar old battle over fossil fuels is still with us, the push for some kind of Green New Deal isn’t going away, and the arguments are well worth having in a world at risk of growing hotter and hotter both physically and socially. + Humans are causing—and have already caused—climate change. + We are running out of time to limit some of the worst effects. + Achieving these limits will require ‘rapid, far-reaching, and unprecedented changes in all aspects of society,’ according to the Intergovernmental Panel on Climate Change. Broadly framed, we have two choices now. Either we get the rapid, far-reaching, and unprecedented changes in all aspects of society that scientists and Green New Deal advocates are urging, or we get another, more costly, and decidedly unkinder kind of rapid, far-reaching, and unprecedented changes in all aspects of society if we allow fossil fuel capitalism to defeat us.